much public scrutiny. Are comments like these below the way of the future for conferences? OK, I’ve made a start on that Di Lazzaro pdf (36 pages!). Already I am appalled at the liberties he has taken in his quoting, or rather misquoting, of the 1978 STURP report. Wrong. The STURP summary does not use the word "scorch" at all. However, it does describe the coloration as due to surface chemical modification of the linen carbohydrates themselves via oxidation, dehydration and conjugation reactions, and helpfully points out that such changes can be the result of thermal OR chemical treatments, which in most people’s books would be described as "scorches", to distinguished from applied pigments etc. Paolo di Lazzaro is entitled to reject scorching by whatever means if he so wishes (though his laser beam -induced coloration is surely another type of "scorch"). What he is NOT allowed to do is claim that STURP specifically rejected scorching. STURP did no such thing. The image encodes cloth to body distance, and it is present in both contact and non contact areas. The STURP summary makes no mention whatsoever of cloth-body distance. Cloth-body distance is a model-dependent variable, based usually on loose draping of linen over a human subject. STURP did not propose (far less embrace) that model. The reference in the STURP summary to the capture and encoding of 3D information has possible explanations that do NOT obligatorily require any postulates re ‘cloth-body’ distance. At one point, Colin quotes Paolo thus: “Energy carried by short-wavelength radiation breaks chemical bonds of the irradiated material without inducing a significant heating (photochemical reaction)”. This is a massive over-simplification, and even as a generalization simply cannot be allowed to go unchallenged. The majority of substances in our everyday lives can be exposed to sunshine, and can be expected to absorb some or all of its uv component WITHOUT undergoing chemical reaction. It’s (fortunately) a minority of white substances that tan (human skin being a notable exception, where there is a protective mechanism operating that involves melanin pigment) and it’s a minority of yellow substances that quickly bleach (yes; let’s not forget bleaching: uv tends to bleach, not yellow and exposure to sunshine was once used, notably in Holland, for large scale bleaching of new linen). It is a minority of uv-susceptible molecules that have given sunshine its bad press, and one is right to flag up the dangers of excessive uv exposure where humans and their crops are concerned, but to reiterate: while a lot of uv light is absorbed, chemical reaction is by no means automatic. Yes, the First Law of Photochemistry states that for a photochemical reaction to occur, radiant energy of some kind or other must first be absorbed. But the converse is NOT true: radiant energy can be absorbed without necessarily producing chemical reaction. The energy of the uv CAN be dissipated safely in other forms, notably as thermal energy (producing a rise in temperature). So what does PDL have to say re thermal effects of his chosen instrument of TS image-formation at-a-distance, i.e. ultraviolet radiation. More to come. More to come? We can hardly wait. 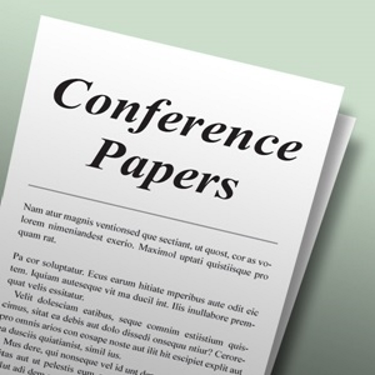 Are we getting a taste of the treatment St. Louis papers will get with an online commenting system to be provided by the conference organizers? Probably. With or without such facilities, social media is here to stay and papers will be publically challenged as never before. I think it’s a good idea. Colin Berry is wrong about scorching. PDL is wrong about lasers. I may indeed be wrong. But I’m still waiting for cogent reasons, based on detailed evaluation of rival models, so as to convince me of that fact. Ex cathedra dismissals on internet sites, unsupported by a shred of experimental evidence, cut no ice whatsoever – which is why I have less and less time for this particular troll-infested community. Thank goodness for the Hughs and the DavidGs, the only reason for my not having deleted the site from bookmarks long ago. And rest assured: if this comment appears on my screen with “Comment awaiting moderation”, it will be my last word here until there’s a new site manager. Who knows how the great-algorithm-in-the-sky makes decisions. Maybe it is the frequent use of the word troll. So you destroy your own argument by quibbling about the specific word “scorch”. Shame on you. resolution has been amply demonstrated by photography.” The nose is darkest because it is closest to the linen, the eye sockets are lightest becasue they are furthest away, i.e., cloth to body distance made the 3-D effect. Colin said, “I may indeed be wrong.” Yep. Thanks for reminding me why I don’t bother with internet forums anymore. Many people read more of their own ideas into STuRP’s formal conclusion than is justified. Di Lazzaro says that the conclusion denies the possibility of a scorch, when in fact it does exactly the opposite, if, as Colin suggests we interpret “something which resulted in oxidation, dehydration and conjugation of the polysaccharide structure of the microfibrils of the linen” and “a similar type of change in linen can be obtained by sulfuric acid or heat” as, indeed, forms of scorch. Similarly, the STuRP conclusion’s reference to the 3D quality of the image very carefully omits any mention of any form of transfer of information across a “cloth-body distance” although it comes down quite firmly in favour of a contact transfer. It is a subtle point, but the fact that the image seems to relate to a possible cloth-body distance does not mean that some kind of transfer of information across that distance actually caused it. A charcoal copy of the shroud would also imply some form cloth-body-distance/intensity relationship, but would obviously not be made by it. Finally Nabber finds a quotation which almost exactly parallels Colin’s statement about UV above, but seems to think it means the opposite. Bern Kohler’s mention of ‘photochemical havoc’ refers specifically to the damage caused by UV radiation to human cells; as Colin says “one is right to flag up the dangers of excessive uv exposure where humans and their crops are concerned.” Kohler, like Colin, is well aware that most materials are unaffected by UV radiation. Colin’s criticism of these specific points in di Lazzaro’s interpretation of the STuRP conclusion is entirely justified. As I have also asked of my own postings, if he has said something incorrect, please point it out. You mean Nabber has leeched off Colin’s content about Di Lazzaro? Nabber, your life is going to be difficult. I think Berry quibbles about the word “scorch”, especially after all his endless and fruitless theories about bas-relief, etc., etc., etc. I think we all know what each other means by scorch, by now. Hugh says: “Nabber finds a quotation which parallels Colin’s statement about UV , but seems to think it means the opposite. Kohler’s mention of ‘photochemical havoc’ refers specifically to the damage caused by UV radiation to human cells”. Hugh, your personal knowledge of the effects of UV radiation leads you to imply that photochemical reactions only affect human cells, and not the cells of linen fabric? I didn’t realize that you personally knew what Kohler is “well aware of.” And that statement is poppycock, anyway. All fabrics are affected by UV radiation, as well as many other materials. It’s also pedantic of you and him to insist that the STURP summary said nothing about cloth-to-body distances, when STURP members (Jackson, et.al.) have put out reams of articles on the subject ever since the STURP report. The true fact is textile mordanting and pre-mordanting of colour without pigment) does look like a very light scorch or “pre-scorch”. In which feather the greater part of the colour is based upon structural coloration? In the peacock feather (of which pattern is reminiscent of the TS herringbone weave pattern). Addition: In the TS dorsal image of the back of the head for instance, we can see ocellated (little-eye shaped like) blood spots, which seen in conjunction with the 3:1 twill weave pattern are reminiscent of a peacok’s ocelli.